There are approximately 40 - 60 ears of corn are in a bushel of corn. But who are we kidding, we grow the big corn in Eco. So we will say 40. 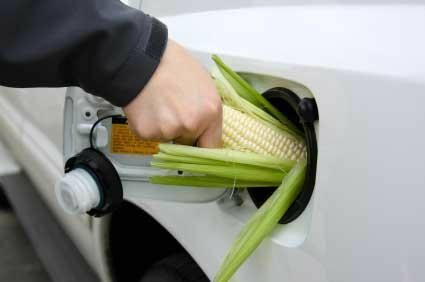 1 bushel of corn can produce around 2.8 gallons of ethanol. The base recipe for cornmeal is 10 corn to 1 cornmeal. This means it will require 4 cornmeal to make 2.8 gallons of ethanol. This puts the cost of ethanol at 1 cornmeal per 0.7 gallon. The recipe does not benefit from any crafting specialty bonus. However, if you are more efficient at making cornmeal, you will get more Ethanol. Currently it will produce Gasoline. I am working on learning how to make a new fuel source and at that point it will be changed. Feel free to leave feedback or suggestions. Thanks!